This category features peaceful painted winter countryside landscapes and village scenes, as well as city scenes. With some designs there is the ability to personalise the front of your card order with your company name and/or logo. You can also browse our selection of Charity Christmas Cards with special finishes, including high-gloss, textured board and foil. 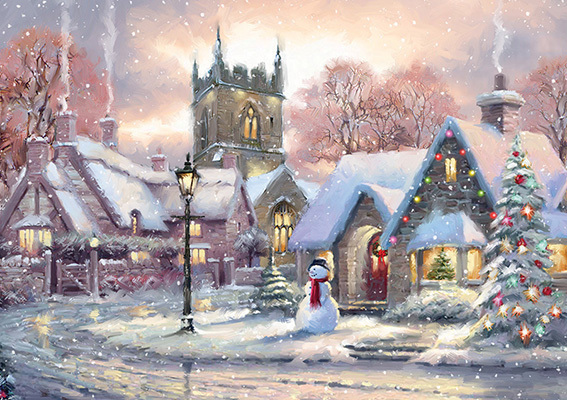 One of my personal favourites from this year’s entire Christmas card selection, the card has a warm and wintery feel of a picturesque village over the festive period. Snowy Village is printed on textured board creating a hand painted look and comes with a paper insert giving an extra special feel to the cards. 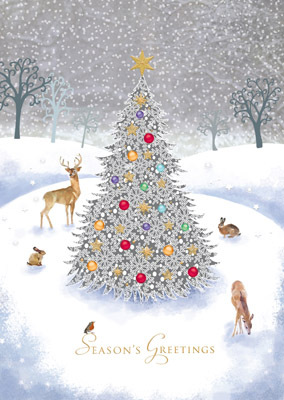 This card features a festive snowing scene of a Christmas tree surrounded by wildlife. This card is finished with gold foiling on a textured board, with the option to add your company name to the front in foil as well (Card code 8LC130-P for front personalisation). 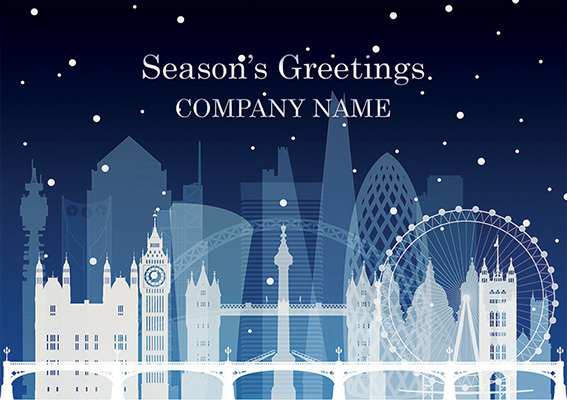 The personalisation inside this card is also printed on a paper insert, further adding to the luxury feel to your christmas card order. 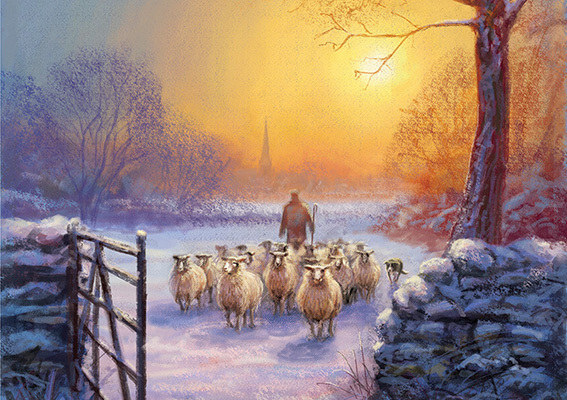 Printed on textured board, Shepherd at Sunset shows a warm winter rural landscape. The textured board adds to the hand painted feel of the image, with personalisation inside the card on a paper insert. 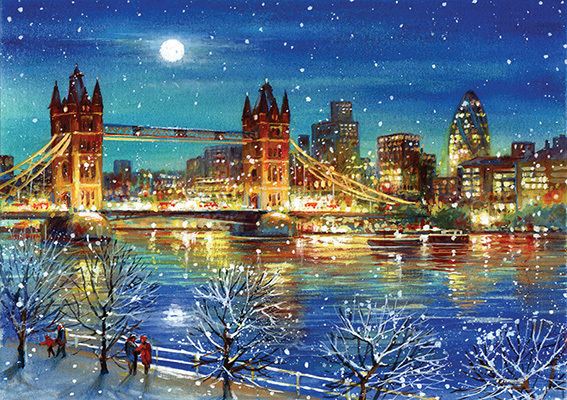 This is another one of my personal favourite cards, this card shows a snowy scene of Tower Bridge in a painted style. The warmth of the city lights creates an inviting atmosphere. In this card the inside personalisation is printed directly onto the card and as with all of our cards is supplied with peel & seal envelopes. 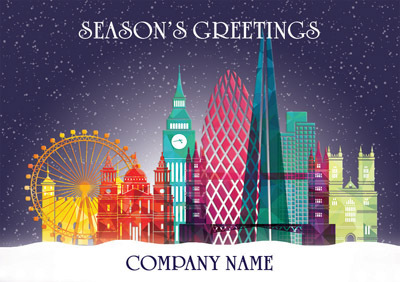 London Montage and London Landmarks capture all of the well-known features of London’s skyline into a single image, with the option for front personalisation with your company name or logo on the front. These cards both offer a modern and contemporary take on this card category. To add even more of a personal touch and save time you can add signatures and your company logo to the inside of your card in black and white for a one-off additional payment of £25.00. All of our cards come with the option to support a charity – to do this when ordering online simply select one from the dropdown list. If your chosen charity isn’t featured on the list just add it to the special instructions section. Once selected 10p + VAT from every card sold will go to the registered charity of your choice with no extra cost to you. 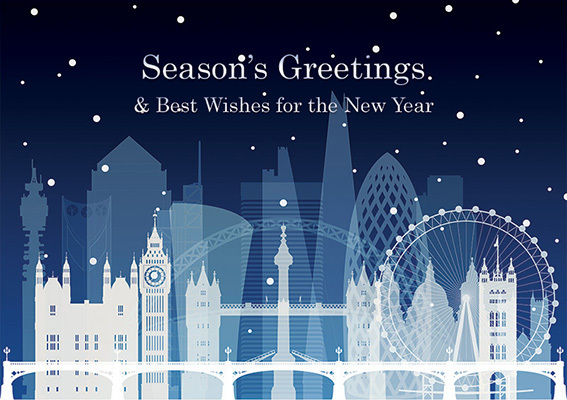 Click here to browse through all of the cards in the Town and Country Christmas Card Category.